Can VA Buyers Borrow More Than a Home Is Worth? Trending: Are Shoffices the New Rage in Real Estate? Shoffices, or shed-office hybrids, are rapidly becoming a backyard fixture for homes across the pond. 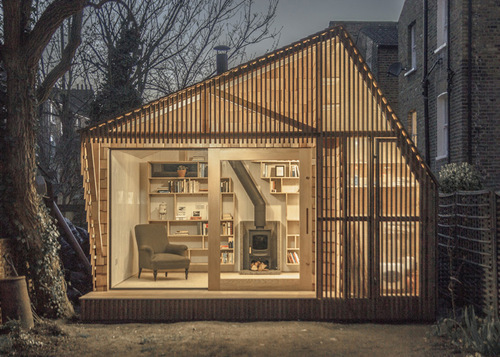 A handful of London homeowners have already jumped on the bandwagon, combining a home office and storage shed with the help of some serious space-saving architecture. Your backyard won’t look like a barren wasteland. If your backyard’s lacking in the landscaping department, a shoffice is the perfect way to enhance it. Go for a modern model like these stunning shoffices for a larger-than-life alternative to a garden sculpture. Your kids will love it. If you don’t need an office at home, construct a shoffice anyway and let your child’s imagination do the rest. What kid wouldn’t love a cave/spaceship/He-Man Woman Haters Club to play in? Your home’s value will go up. My biggest case for bringing shoffices Stateside. Creating usable living space where there was none typically has a positive impact on a home’s value. No matter the seller’s original purpose, an agent or stager can showcase a shoffice as a functional (albeit detached) part of any home.